I know now a days I'm posting more non veg recipes..right?? 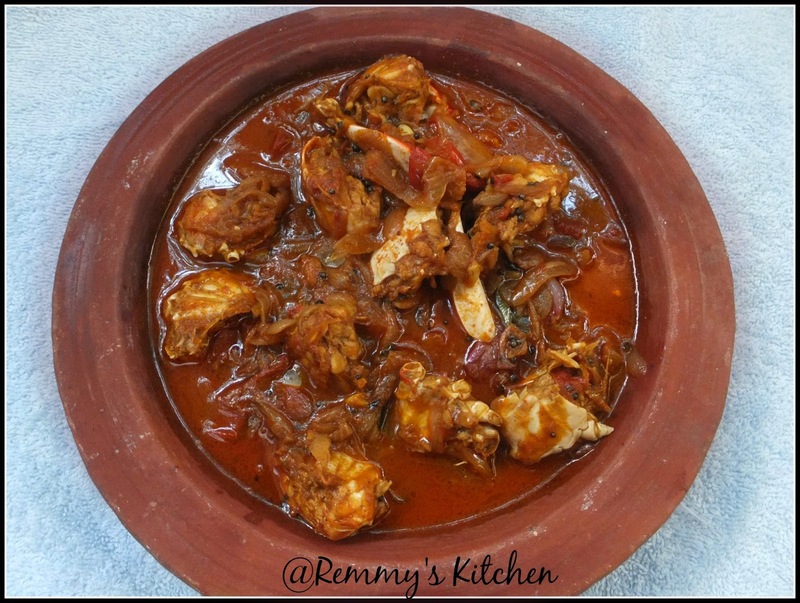 ?Lost my grip on diet and enjoying a lot..Okey anyway it is a wonderful recipe and I'm sure all non veg lovers will love it!I have already posted Crab roast recipe hope you all checked it. Clean the crab and keep aside. Heat a clay pot (manchatti)/ pan with oil. Now add crushed ginger and garlic . Saute it well till it leaves the raw smell. Now add chilly powder coriander powder garam masala powder salt and turmeric powder. Now add coconut milk and mix it well. Now add sliced shallots and curry leaves. love the color. 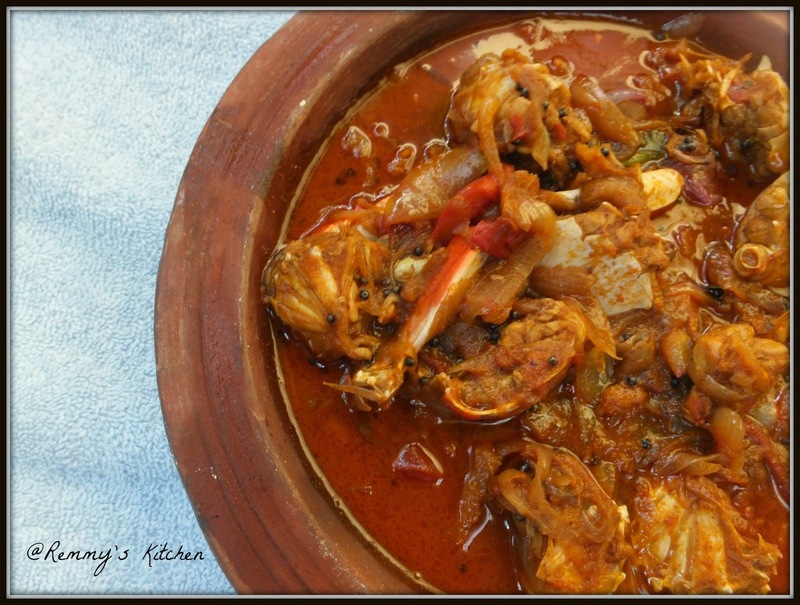 Never tried crab till now..
Any-time please, ever willing to dive into the spicy and flavorful crabs. 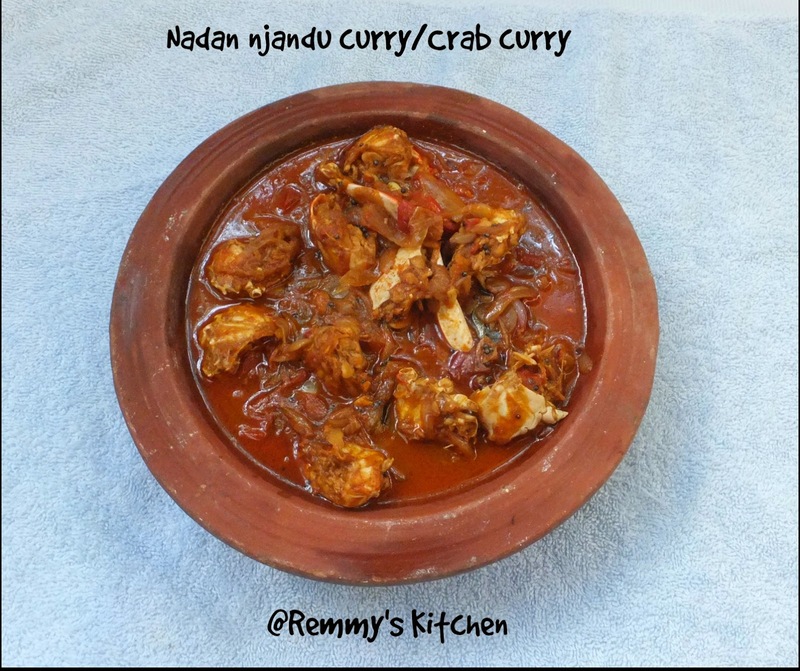 am reaching there by next flight...reserving this curry for me,mouthwatering !!! !